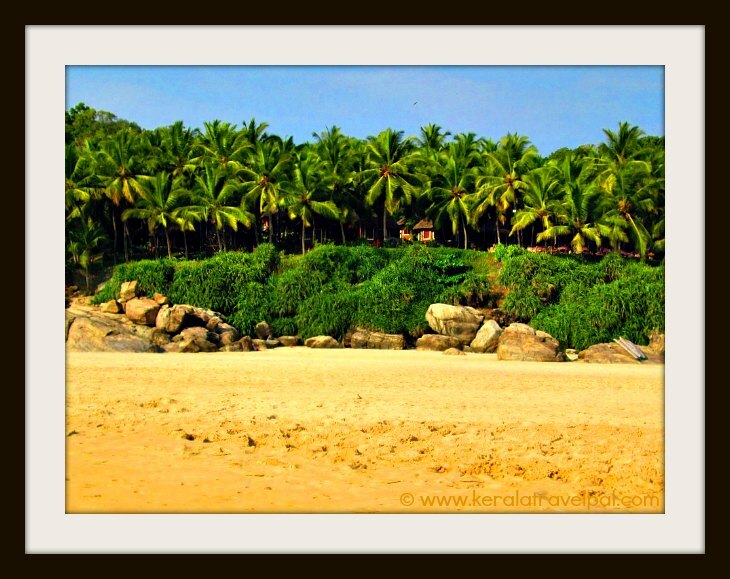 Somatheeram beach forms a part of the long sandy stretch of Chowara coast south of Kovalam. Small hills run alongside clean broad beach with slopes reaching the shore line. A climb up may be something hard to resist, especially when the pleasant sea breeze brings with it a cooling off effect. Splendid expanse of blue water on one side plus a huge statue of Jesus Christ overlooking the greenery of the other side – make the view from the top worth the climb. 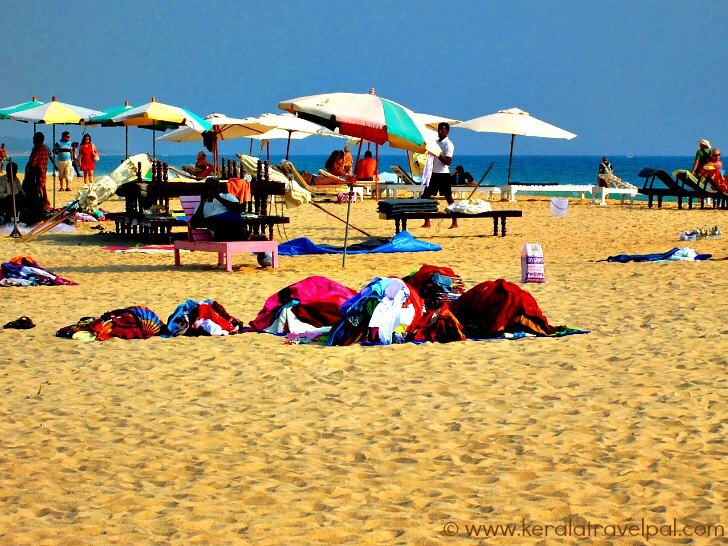 Somatheeram as well as the Chowara beach line is ideal for swimming as well as relaxing under beach umbrellas. However, visitors reaching this remote spot have a special intention – Ayurveda wellness. When it comes to fixing some aches and pains or addressing some chronic conditions, Somatheeram is an answer to many. Fans of rejuvenating massages flock here to get socked in oils and herbal mixes. Well, nirvana may be hard to reach. What about a milder version of herbal nirvana? Many visitors search for Aurvedic resorts in Kovalam as a part of their luxury holiday in Kerala. There is no dearth of Ayurvedic resorts in the coastal region south of Trivandrum. Ayurveda has become such a crowd puller that a beach is well known just because of oceanfront Ayurvedic resorts. And that beach, of course, is Somatheeram. Beware though. Some of the beach side Ayurvedic Resorts have confusingly similar names- Somatheeram Beachside Ayurvedic Resort, Somatheeram Ayurveda Resort and so on. In case you are opting local Ayurveda treatments, make sure you are booking the right one. Cottages and facilities of Ayurvedic resorts spread out over oceanfront hillocks and cliffs. Huts harmoniously fit into the picturesque surroundings. People who arrive at Somatheeram to treat knee issues may find it hard to get to the beach. That is because of number of stairs they have to take. Calling themselves beach resorts, most local outfits are equipped with Ayurveda, yoga and meditation facilities. While Somatheeram may cater well to Ayurveda fans, mainstream beach experience is limited to swimming and sunbathing. Somatheeram fits into a broader area of active fishing belt. Fishing folk can be sighted around in wooden boats. Vizhinjam, the prominent fishing harbour, is just a few kilometres away. It the hub of hectic sea bound activity. Somatheeram is 8 Kilometres south of Kovalam beach. Several of Kovalam’s fine resorts are in proximity to the Chowara - Somatheeram strip. Trivandrum City is 21 kilometres from Somatheeram. There are regular bus services that take you to the beaches. Food Options : Restaurants at Trivandrum. Even though there are some small local eateries in the villages, better choice is at Trivandrum and Kovalam. Accommodation Options : SBR and other Ayurvedic beachside places. Best time to visit : Monsoons are the best for Ayurvedic treatments, unless you really want the beach experience of sunny period. In that case, can be visited anytime during the year. Nearby Attractions : Kovalam beach, Poovar beach, Pozhikara Beach, Vizhinjam Rock Cut Cave Temple, Napier Museum, Kanakakunnu Palace, Sree Padmanabhaswamy temple, Kuthiramalika Palace Museum, Sree Chitra Art Gallery, Neyyar Wildlife Sanctuary, The Akulam Boat Club, Veli tourist Village, Ponmudi, Agasthyakoodam, Pareekshit Thampuran Museum, Kanyakumari, Koyikkal Palace and Trivandrum City (shopping, food & fun).